On Wednesday, March 28th, the Penn Museum Teen Ambassadors hosted our inaugural Teen Science Café. Our speaker was Josh Franklin, a 5th year MD/PhD student in anthropology at the University of Pennsylvania who conducts research primarily on the relationships between gender and sexuality, mental health, and childhood in Brazil. His current research project aims to explore the impact of medical care and the role of medical institutions in the lives of transgender and gender-nonconforming youth in Philadelphia. 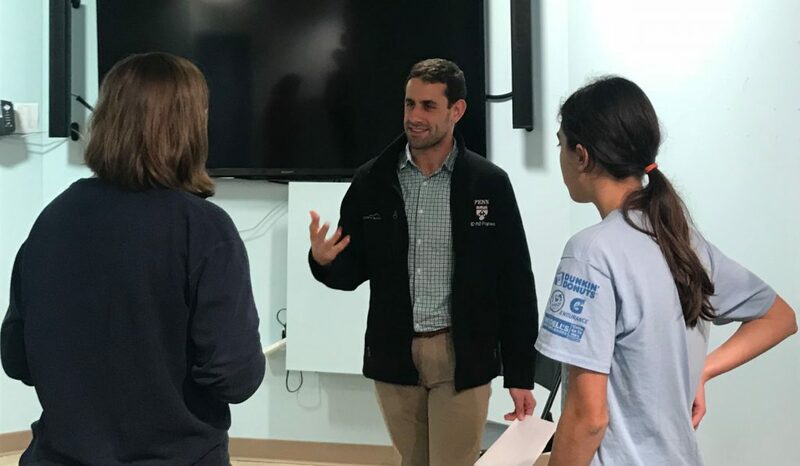 He visited the Penn Museum to talk to teens about a tool that is widely used across many types of careers, and especially important in both of his fields (medical and anthropology): the interview. In a nice parallel, the Penn Museum recently opened a special exhibition, Bearing Witness, which centers audio interviews and firsthand accounts of events in Jamaica. 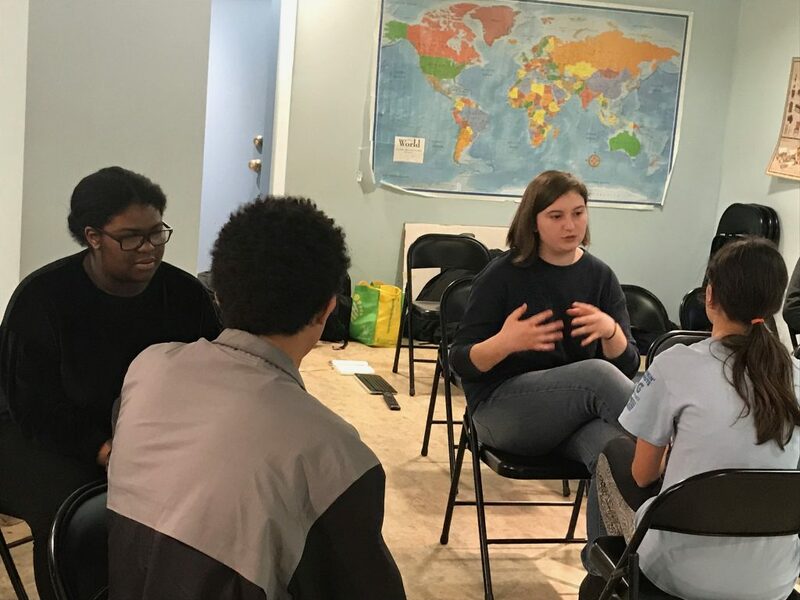 Franklin began with a few minutes of explaining his background and the focus of his research, but then he switched things around and asked the teens to interview him about his life and work, to address more specifically any areas of interest. We then talked about what it was like to interview someone rather than have them explain things themselves. We found that in an interview, the person being interviewed is more likely to care about the answer because they know that the interviewer really wants to know what they have to say, and the interviewer is more interested because they get to pick the question, so they have genuine interest in the answer. This was an excellent introduction for all of the teens with a non-anthropology background, to understand more about not only the techniques of interviewing someone, but also the personal nature of interviews and the relationships that are formed during them. Mr. Franklin then had us watch two Youtube clips of “bad interviews” from movies and TV, where the interviewer didn’t take enough care in trying to attain the information they wanted, so the person being interviewed was made to feel stupid or unheard. We discussed the practices that the interviewers in the clips were using, in order to understand what not to do when interviewing people ourselves. It really helped us understand that interviewing is not a simple exchange of facts: there are subtleties and nuances that interviewers have to be aware of in order to get the best results. For the hands-on activity, Mr. Franklin had us split up into small groups and interview each other! The task was simple: interview each other about a time in their lives when they felt really heard and someone really cared what they had to say. This proved to be harder and more awkward than we all thought it would be, since, as we learned before, interviewing is not a simple exchange of facts. We often found that we would go down other paths in the interview and ask questions not related to the main focus, and learn things we didn’t expect to learn, or that sometimes we would hit a dead end and not be able to ask any more questions. Both of which, Mr. Franklin explained, happen all the time in real life to doctors or anthropologists when they interview people. 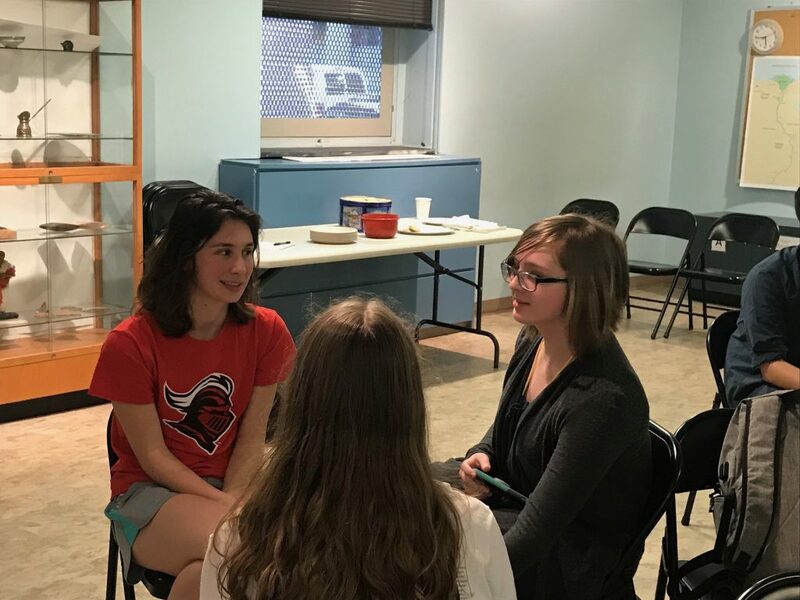 The Teen Science Café was an excellent introduction to the art of the interview for anthropologists and non-anthropologists alike.